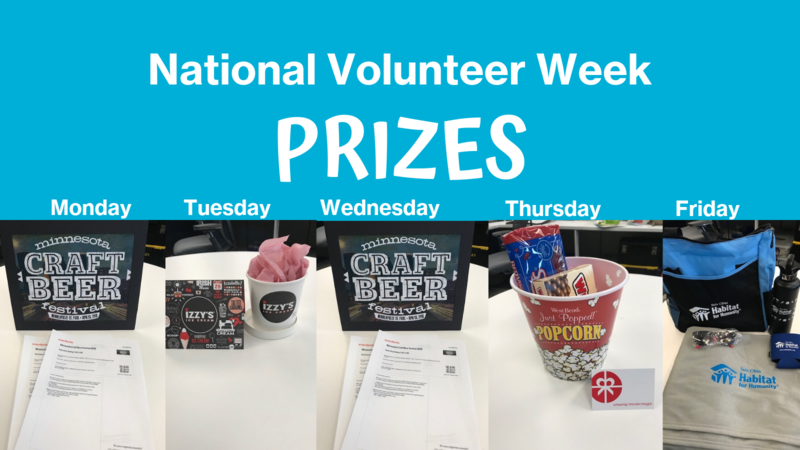 Are you ready for National Volunteer Week? This special week is dedicated to inspiring, recognizing and encouraging people to seek out imaginative ways to engage in their communities. It’s about demonstrating to the nation that by working together, we have the fortitude to meet our challenges and accomplish our goals. 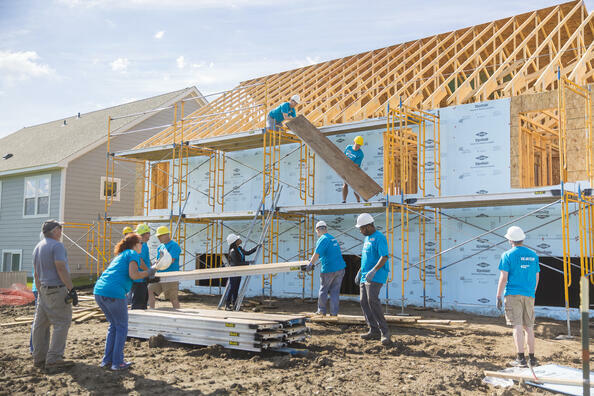 To show our appreciation for our wonderful volunteers, Twin Cities Habitat for Humanity will be offering new and existing volunteers opportunities to win great prizes during the same week of April 8-12, 2019 through our volunteer scheduling tool. See what to do each day so you can be eligible for great Habitat prizes. Throughout the week, we'll also be sharing information on our blog and via social media on all the ways volunteers are able to help out at Habitat. Volunteers that are on-site during that week will also receive a special treat! Check out how you can participate and win some of the great prizes during Volunteer Appreciation Week. Visit our online scheduling tool, and create an account if you have not done so already. All actions must be submitted by 11:59 pm on Friday, April 12th to qualify. Sign up for any volunteer shift at the ReStore. Sign up for any volunteer opportunity with Twin Cities Habitat for Humanity.